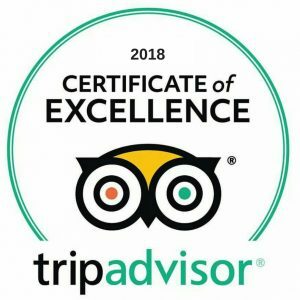 [Updated May 29, 2018] The TripAdvisor Certificate of Excellence is an award that displays on hotel TripAdvisor profiles. Travelers trust hotels that have this award because it proves that the hotel has a large number of positive reviews. 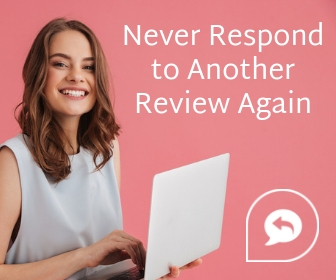 That's why it's important to have a plan in place to receive more positive reviews. Hotels that win the Certificate of Excellence can receive a printed certificate or display the official badge on their website. 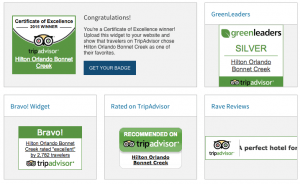 TripAdvisor awards top-rated hospitality businesses the Certificate of Excellence annually. The TripAdvisor Certificate of Excellence is one of three prestigious awards that give bragging rights to hotels, restaurants, and attractions. Displaying a TripAdvisor Certificate of Excellence can improve walk-in business and improve your online listings. Many of the factors in TripAdvisor rankings are determined by a secret, proprietary algorithm (generally involving quantity, recency, and quality of reviews), but we know that asking your happy customers to leave you TripAdvisor reviews you'll be well on your way to earning this award. TripAdvisor's 2018 Certificate of Excellence awards were given out in late May 2018. Didn't receive one? Here is what you need to do to snag the award in 2019. Once you receive the Certificate of Excellence, a window sticker will be provided to you to announce that you are a trusted business to walk-in clients. Most importantly, in addition to this offline boost, your online presence will also be impacted by the Certificate of Excellence. 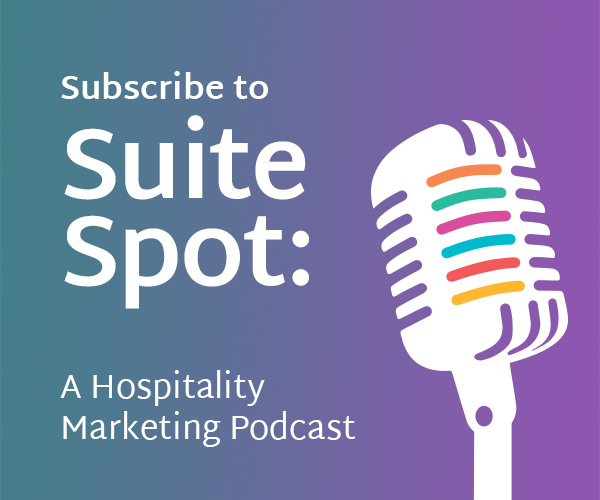 TripAdvisor reports that 75% of users are more likely to patronize a business with a TripAdvisor endorsement. You can see all the accolades a company has at the top of its TripAdvisor page, right under the company name. 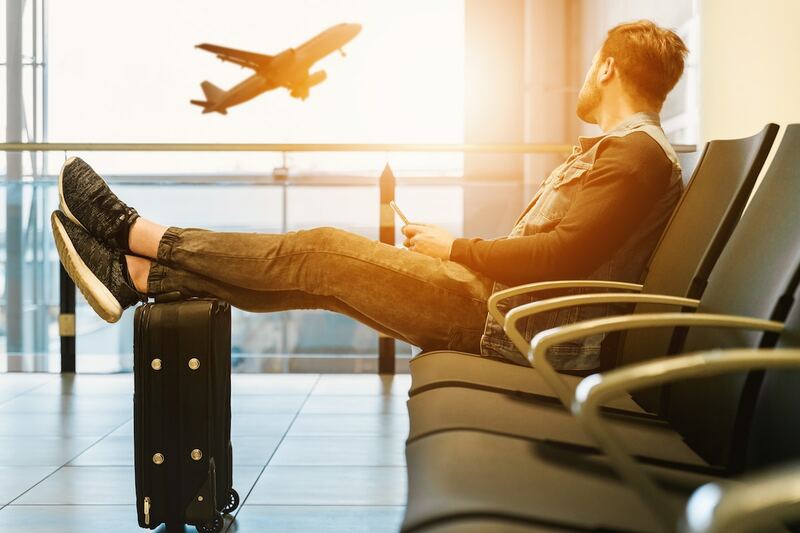 As a result, it's easier than ever for travelers to determine who is the best choice out of comparable hotels. What do I need to do to receive the TripAdvisor Certificate of Excellence? Promote your business' success by displaying the Certificate of Excellence on your website. The Certificate of Excellence is an automatic award, and you don't need to do anything to receive or display it. You'll automatically have the badge added to your TripAdvisor listing page. However, if you are a recipient, you can further promote your business with it by adding a widget to your website. Just go to the management portal and search for your property and any awards available to you will be shown. You can also request a printed certificate to hang in your place of business. 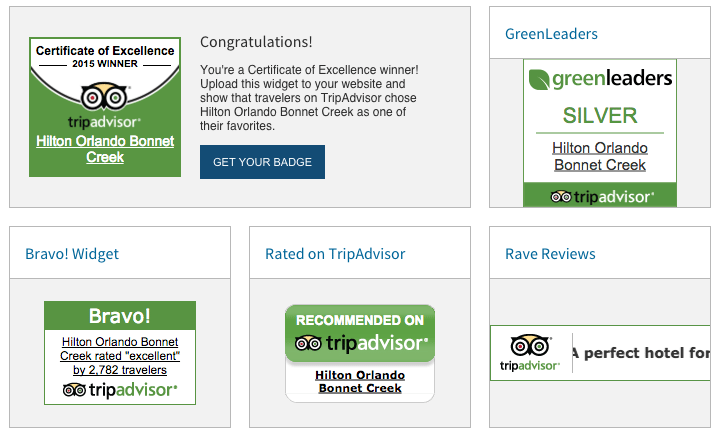 Even if you are not currently a Certificate of Excellence winner, you can add widgets or request a TripAdvisor sticker to help encourage travelers to leave you a review. Need more and better quality reviews? 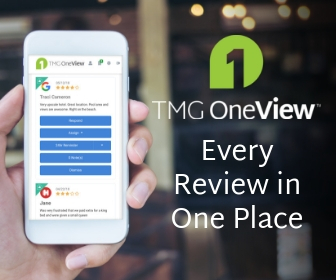 Our Reputation Management product helps hotels to gain more reviews while also encouraging positive reviews to be posted on TripAdvisor. 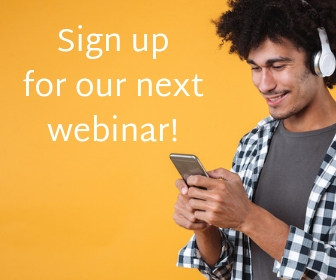 Our unique product and the intuitive dashboard is easy-to-use and can help you get on track to raise your ranking and get you on your way to your own Certificate of Excellence. Learn more about our reputation management solutions! http://www.asianheritagetreks.com and we think we could meet your criteria to received Award but never happened. Maybe you could help us how to get award. It would be appreciated. Unfortunately, we aren’t able to contact TripAdvisor on your behalf or influence their decision. If you believe you met the criteria to win the award, we suggest you contact TripAdvisor directly.